An intermediate size which will fit 1.450-1.750″ will be shipping this spring. 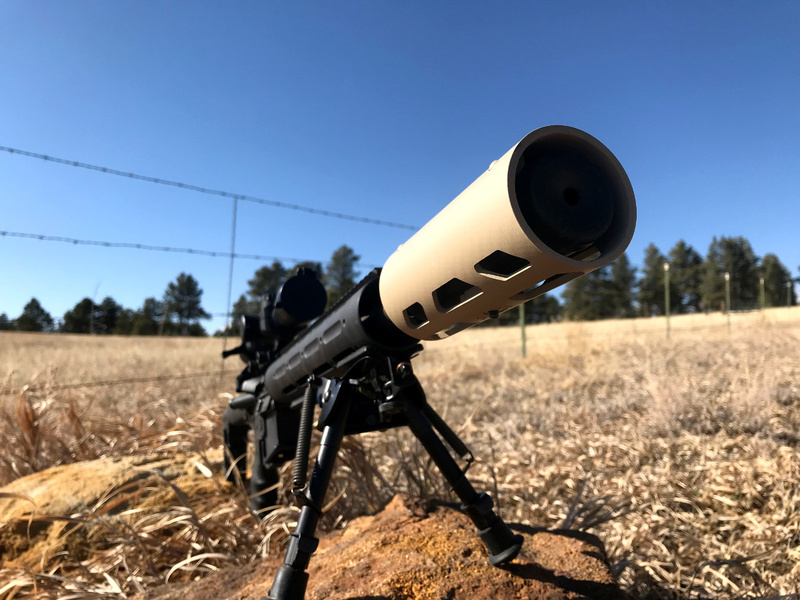 The Suppressor Shield provides an effective buffer against incidental contact with the suppressor, minimizes mirage, and remains solidly in place through heavy recoil. The employment of an air gap and carbon fiber reduce the observed surface temperature up to 50%. The low thermal conductivity of carbon fiber reduces the “felt” surface temperature to a point that is safer for incidental contact, even at extreme suppressor temperatures. Solid top design eliminates mirage along the length of the suppressor by over 80%. Carbon fiber’s low thermal transfer rate reduces mirage on all exposed outer surfaces. Spacers create an air gap that does not trap heat like a fabric/silicone suppressor wrap. 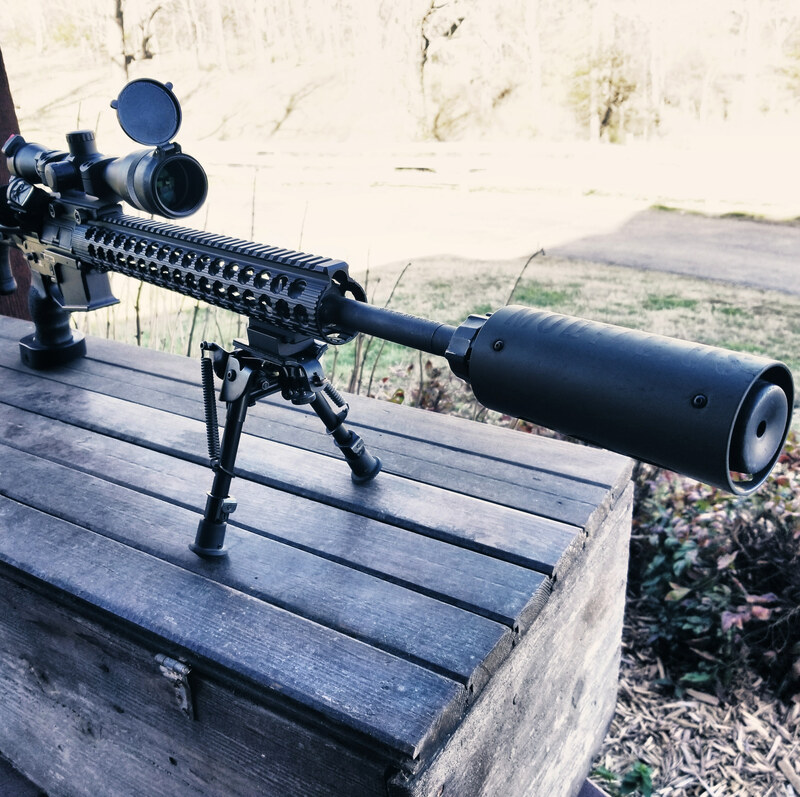 Vent design promotes air flow around the suppressor. Mechanical attachment holds tight through heat expansion and heavy recoil. Suppressor can be removed without removing the shield first. 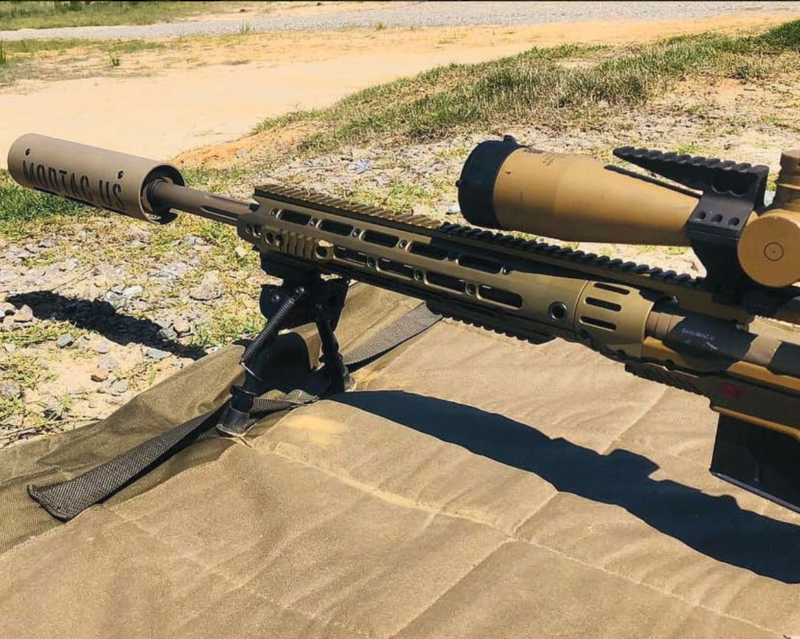 Optimal heat protection and mirage reduction is achieved through months of testing and application specific considerations from 5.56mm to .300WM. 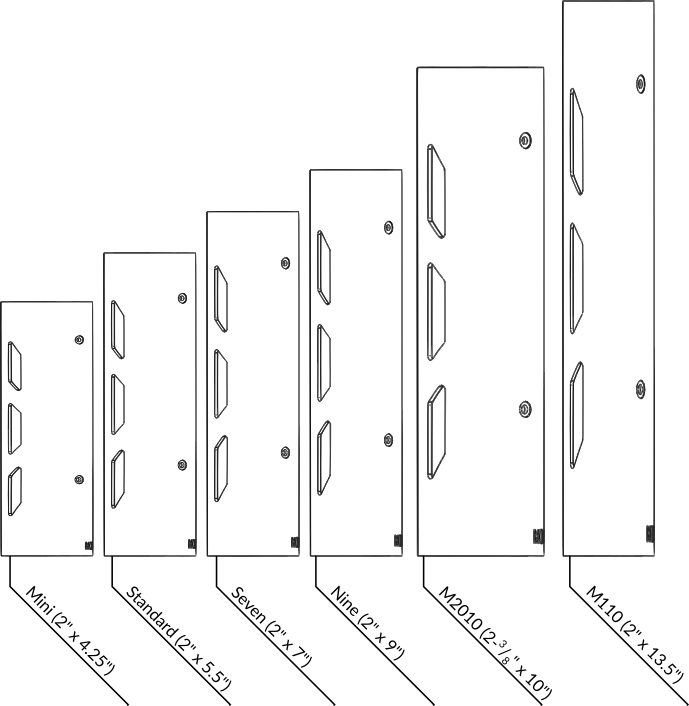 4" x 2", 5.2" x 2", 5.5" x 2", 7" x 2", 9" x 2", M2010 10" x 2.375", M110 13.5 x 2"